The Texas economy continued to add new jobs to payrolls across the state in August. This marks 26 consecutive months of employment gains, according to the latest figures released by the state. 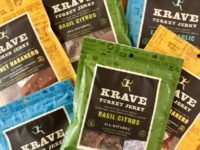 A Northern California jerky snack food giant is the latest company to announce plans to exit the Golden State and relocate in Texas, potentially, later this year. Chief Executive Magazine again has named Texas the best U.S. state for business, marking the 14th year in a row the Lone Star State topped this list. 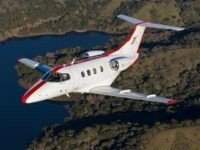 The top executive of a Southern California private charter airline says the Golden State’s hostile business environment propelled his company’s decision to relocate to Texas. Texas led the nation with the most commercial real estate development in 2017, says a new report published by the NAIOP Research Foundation. 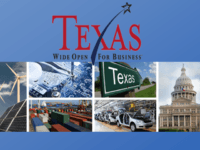 A new report from the Federal Reserve Bank of Dallas revealed that the Texas manufacturing industry experienced large gains in December, ending the year by reaching its highest point in more than 11 years. 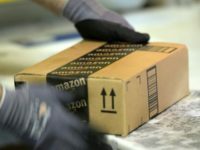 E-commerce giant Amazon announced Tuesday it began the process of hiring 2,500 full-time employees for its new fulfillment center in Houston, expected to open this summer. This marks the seventh facility the company will house in Texas. Chief Executive Magazine named Texas the best state to do business, marking the 13th consecutive year the Lone Star State topped their list. 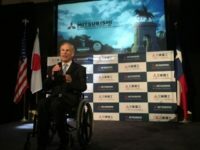 Another corporate headquarters is calling Texas home after Mitsubishi Heavy Industries has officially settled into its offices in southwest Houston. Texas Governor Greg Abbott was on hand to formally welcome the new employees last week. 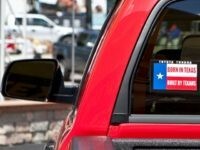 Affordable Texas housing played a key role in Toyota’s 2014 decision to move 3,000 jobs from California to Texas. 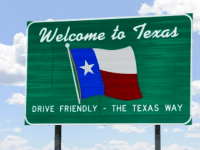 The housing issue was seen by employees as a big factor in their willingness to relocate from Torrance, California, to Plano, Texas. In his only sitdown interview while preparing for the first GOP primary debate on Thursday, former Texas Gov. Rick Perry discussed exclusively with Breitbart News his plan to get Americans back to work amid a crisis with the lowest workforce participation rate since 1979.